Fishing on the Cape is some of the best on the east coast. Cape cod charter fishing boats consistently score on all of the great gamefish species of the Cape. 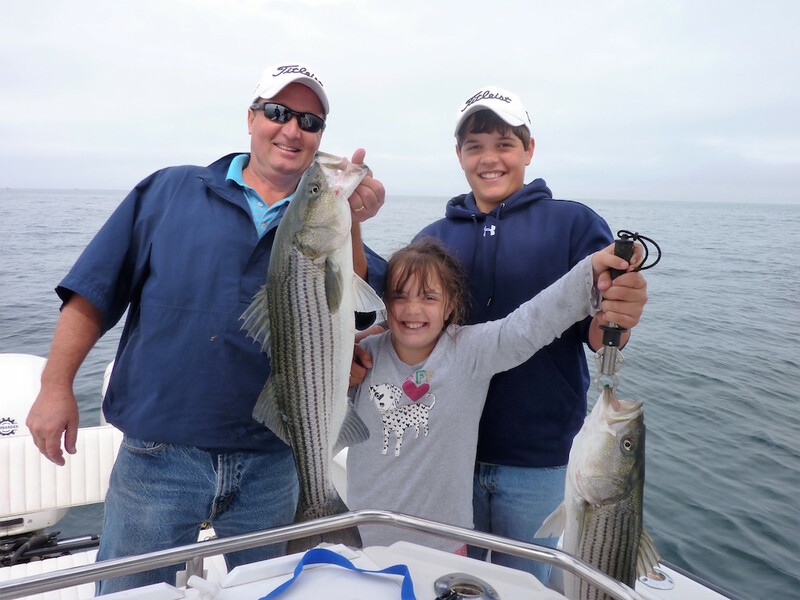 The most popular gamefish is by far the striped bass, however, Cape Cod charter fishing boats also chase bluefish and tuna, as well as sharks and bottom species like the once prolific cod that the Cape is named for. Check out Cape Cod’s best charter boats listed below, give them a call and plan your Cape Cod fishing trip today! The big one might get away, but the memories last forever! Rock Harbor in Orleans is home to some of the best Cape Cod Charter Fishing boats! There is excellent fishing for striped bass all summer long!